One of the most influential and prolific fashion designers of this century passed away on Tuesday. 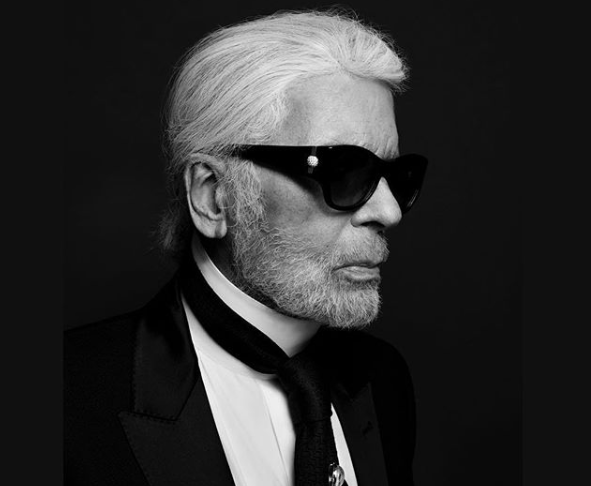 The fashion world is in mourning today as news of the loss of a legend, Karl Lagerfeld, spreads like wildfire. The German designer known for his work as the creative director for Chanel and Fendi was 85 years old at the time of his passing. Rarely seen without his ponytail, black tie, and gloves, Lagerfeld easily stood out from the crowd. His career began in Hamburg Germany in 1954 when he won a womenswear design competition. He moved to Paris and worked for Pierre Balmain and Chloé, Then, in 1967, he was brought on by Fendi as a consultant director. Karl Lagerfeld was known as the visionary who revived Chanel. He was outspoken and never hesitated to bring critiques to the fashion world. Celebrities all around the world are paying tribute to Lagerfeld. Statements have been released from Donatella Versace, Anna Wintour, Victoria Beckham, and many, many more. "Today the world lost a giant among men. His creative genius was breathtaking and to be his friend was an exceptional gift. Karl was brilliant, he was wicked, he was funny, he was generous beyond measure, and he was deeply kind. I will miss him so very much."